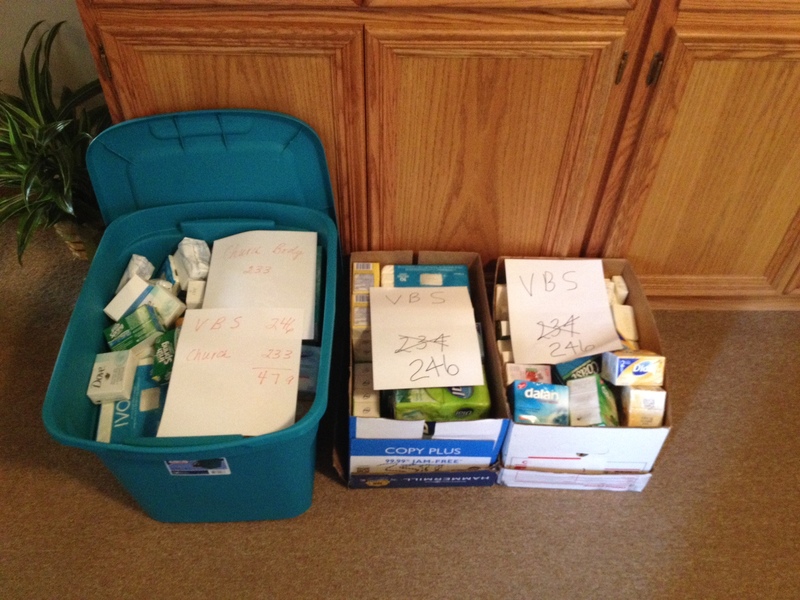 The official count for the Vacation Bible School Bar Soap Challenge has been revised. After a careful recount of all the packages of individually wrapped bar soap we have a new and higher total. The Vacation Bible School Students collected 246 bars. The adults in the congregation collected 233 bars. That is a grand total of 479 individually wrapped bar soap. We need only 21 more bars to make it 500! New donations are always welcome. Check out the previous notice regarding this special project. Click here. Thank you to the generous children and adults who have given so much so far.